Former Liberal leader Michael Ignatieff has raised a storm in Canada with an interview he gave in Britain in which he said Quebec will “eventually” separate. Even now, he said, Quebec is master in its own house. 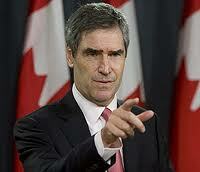 Later Ignatieff said he was a strong federalist and that he had been taken out of context. It is hard to see how.